Low system CPU resource usage - even with more than 1.000 oscillators playing. 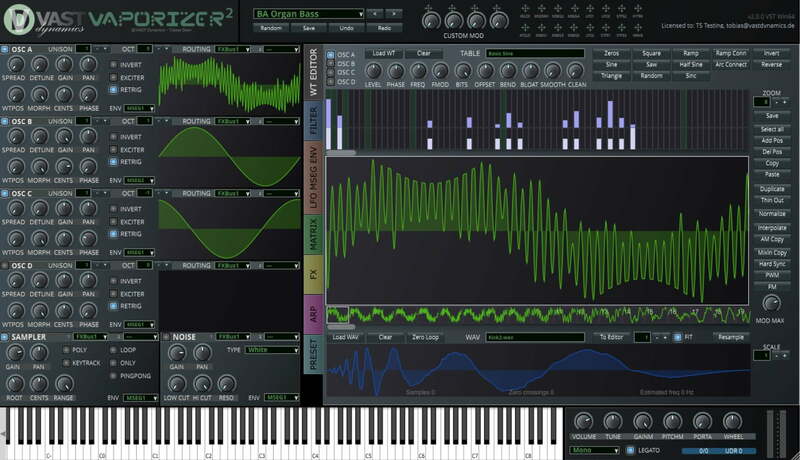 Generate FM, PWM, harmonic morphed / reduced, low pass / high pass / band pass / comb / formant filtering and even hard sync wavetables out of an arbitrary single cycle waveform. Import and change standard (Serum, Icarus) format wavetables - also simply via drag and drop. Mono legato mode or polyphonic 4 / 16 voice modes. State of the art filter section (30+ different types) with 4 x oversampled LPF (biquad, state variable and diode ladder implementations) plus high pass, all pass, band pass, notch, shelf, comb and scream filters - all with resonance. 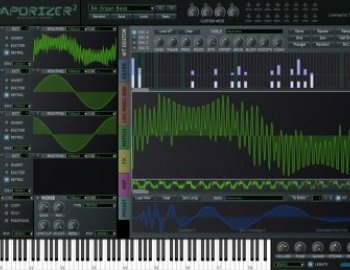 Five LFOs (per voice - means up to 80 LFOs in total) with smooth generation optimized for lowest frequencies with ramp and phase that can be set per voice or global - can be synced to the DAW.